Pat learned to cook from her family and has been teaching cooking classes from her home for a couple of decades now. She was born in Bangkok and lived in California for eight years, where she worked at a Thai restaurant. 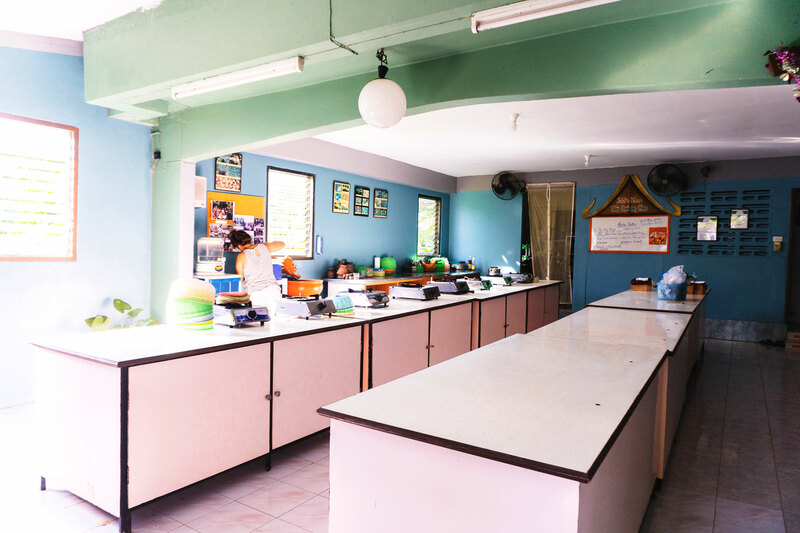 She then moved back to Thailand, to Phuket, where she married her husband and started teaching Thai cooking classes in her traditional Thai garden house. 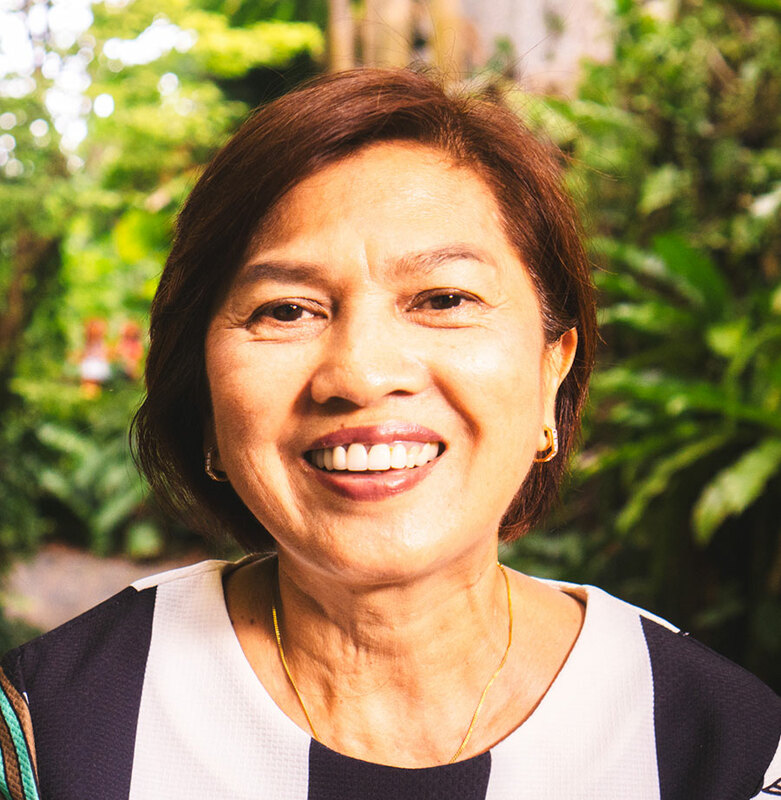 In-home meal: (2-10 guests) Pat will welcome you into her traditional Thai home with a warm smile. Her house is very conveniently located near the city and the beach. 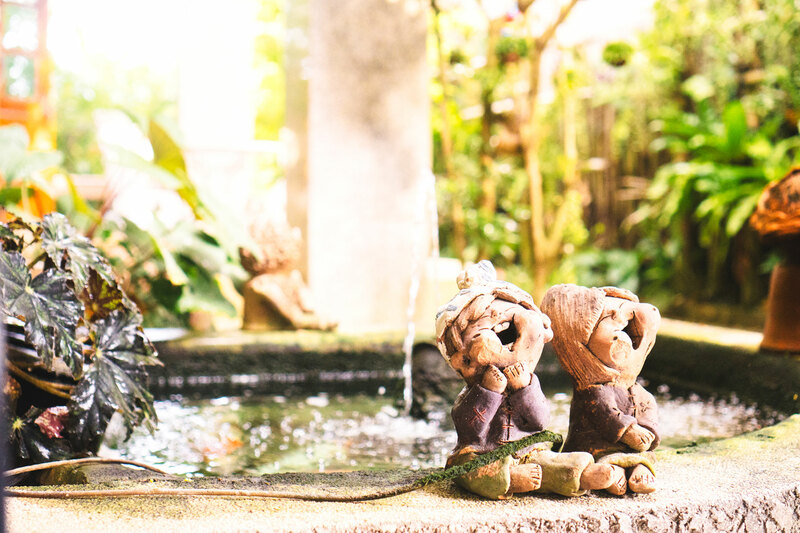 It is colorful and beautifully decorated with family photos, plants, ceramics and a koi fish pond. 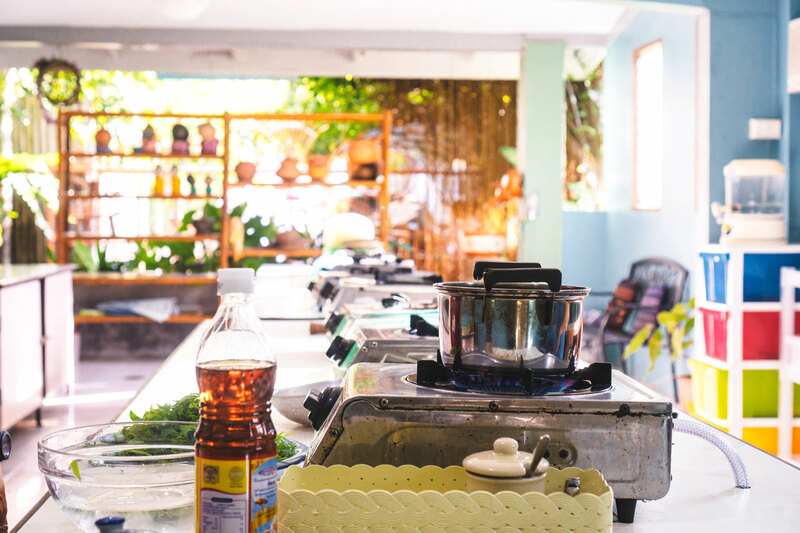 While you sip on your homemade lemongrass tea, Pat will share cooking stories and inform you about Thai culinary traditions. 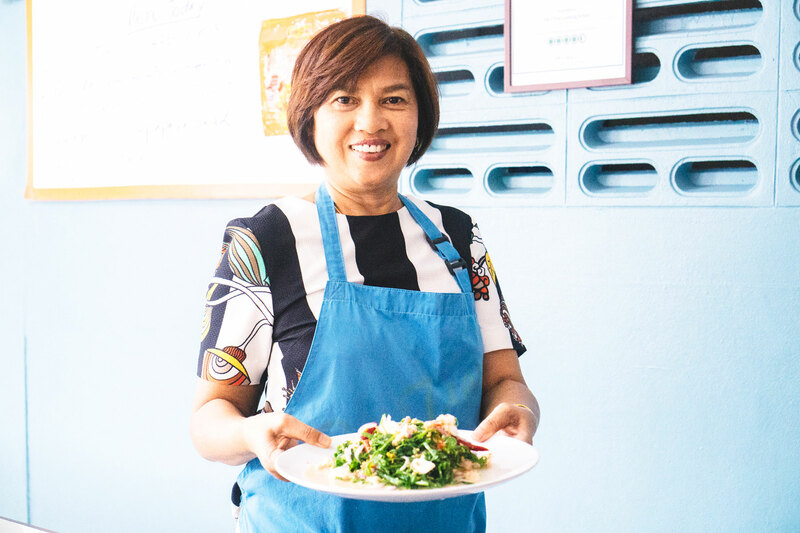 Later you will join her at the dining table for an authentic Southern Thai everyday meal that may include dishes such as yum puk (her signature salad made with white fern or asparagus, prawns and chicken), spring rolls and tom kha kai (Thai coconut soup). Your meal will end with a sweet dessert like kluai buat chi (banana in coconut milk). Cooking experience: (2-10 guests) Your cooking class takes place outside Pat’s home, where long counters are set up for a hands-on cooking experience. 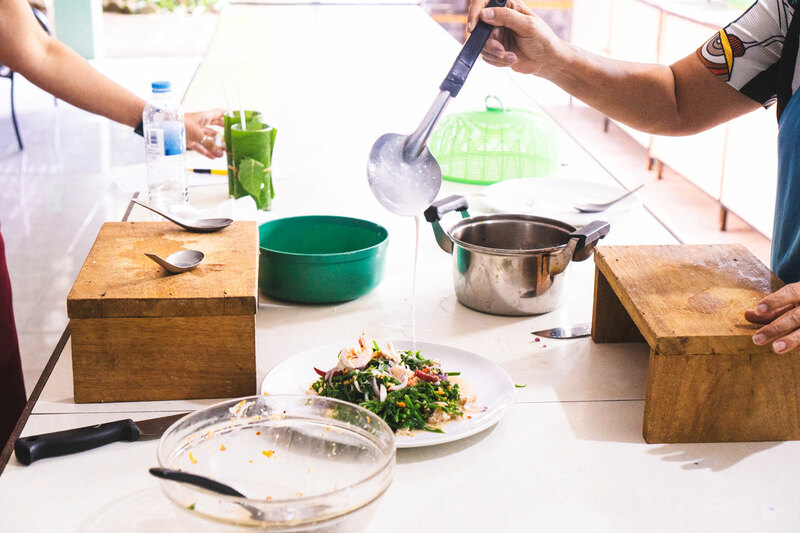 During the two hour class, you will learn to make a Thai appetizer, entree and dessert along with Pat. Pat explains in detail about Thai ingredients and how each dish is made. After she shows you what to do, she will let you prepare the rest of the dish. 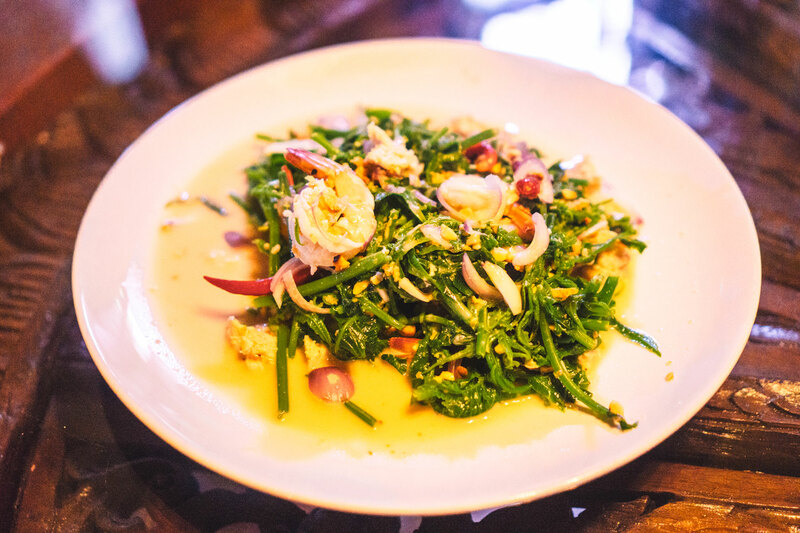 After cooking three dishes, you will move inside the house and join Pat at the dining table to enjoy your creations. She will also give you printed copies of her recipes so you can recreate these dishes back home! 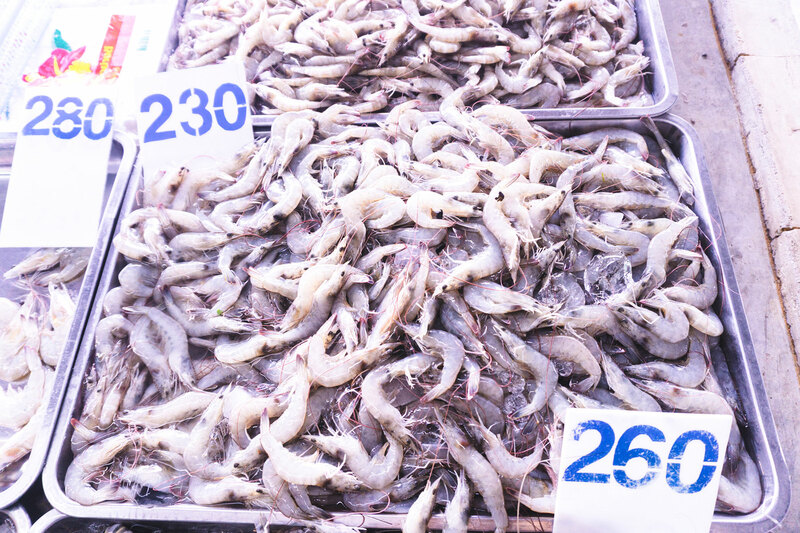 Market visit: (2-10 guests) There is a semi-permanent market just a block away from Pat’s house called Talad Nud Tahon Khaung. After meeting her at home she will walk you to this market. If the market is closed on the day you visit, Pat will drive you to another nearby local market. The market tour is fun and educational - Pat will introduce you to many new fruits and vegetables and you may also purchase a few ingredients for your cooking class, if you have booked one. 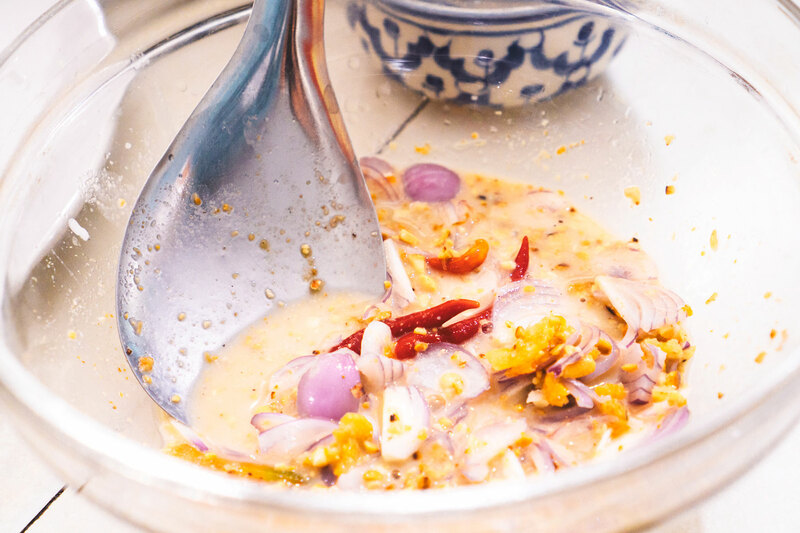 Notes: If there is a specific Thai dish that you are eager to learn, please inform Pat in the notes section when creating your booking and she will be happy to customize the menu for you. We had a great time with Pat and would recommend it to everyone. We learned a lot about the food at the market and while cooking. Our host gave us a lot of information on why we were doing certain things. Cooking with Pat was a very enjoyable experience. We started off by going to the market to pick out all of the ingredients for her signature salad that we would be making. It was really cool to learn about so many different fruits and vegetables that we don’t have back home. After the market we went back to her home where we were served lemongrass tea from her assistant and a snack to start us off. This was a very nice touch and made us feel very welcomed. She then prepped some of the ingredients and got our cooking stations set up. 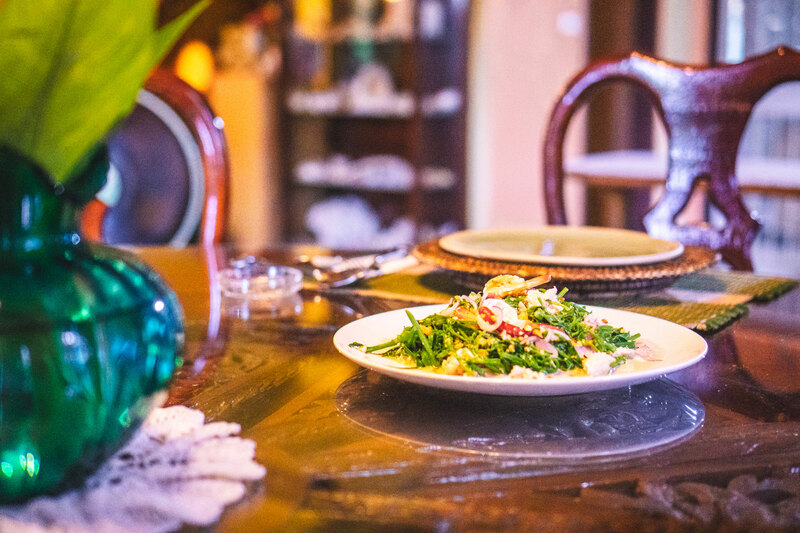 Once we finished making the salad she brought everything inside her home where the dining table was already set. She brought us both ice waters and helped serve our meal onto our plates. While we enjoyed our amazing meal she talked with us at the table the whole time. We even talked a lot about traveling in New Zealand as we just finished exploring that whole country and she is hoping to go there soon herself. Pat’s home was very welcoming and well kept. Her kitchen and dining room were very clean and she made us feel right at home. She had some soft background music playing as we enjoyed our meal which gave it all a very soothing ambience. At the end of the experience, Pat gave us the recipe for the meal we cooked and will do this for all guests and meals she teaches. We really had a great time cooking with Pat and would love to learn more of her recipes!